We’ve taken the world’s most popular Breech Lock Challenger press, and combined it with the best accessories at a price less than what others charge for a “basic kit.” Highlights are the New Deluxe Perfect Powder Measure, Auto Bench Prime with shell holder set, Deluxe Quick Trim and copy of the latest version of Modern Reloading featuring over 36,000 loads for over 170 cartridges. Plus, it includes all the case prep tools found in our other kits. 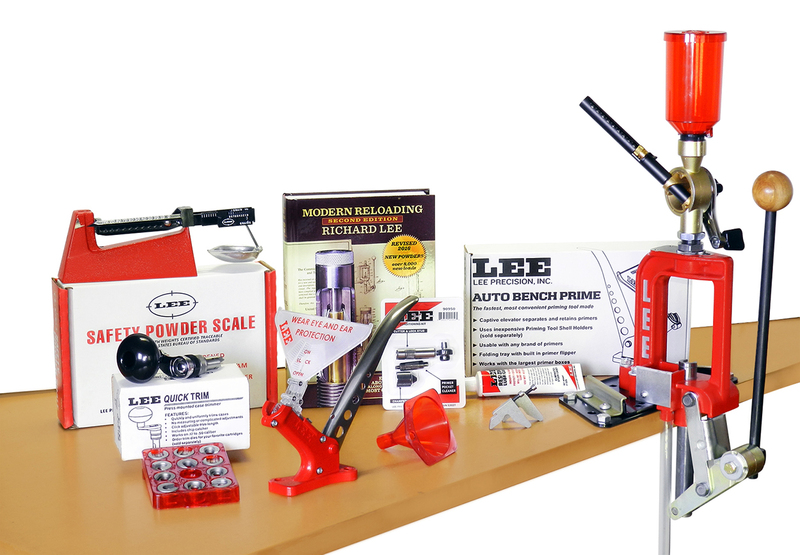 A set of Lee dies is all you need to start reloading, and it’s all of Lee’s best products, so you’ll never outgrow the kit. And many other accessories to discover in the Deluxe Challenger Kit!